The main challenge was to slide numbered tiles on a grid and combine them to create a tile with the number 2048. To design the 4×4 grid game board and handle the left, right, up and down arrow click control. To set a different animation for new tile whenever two tiles combine and make a new tile. 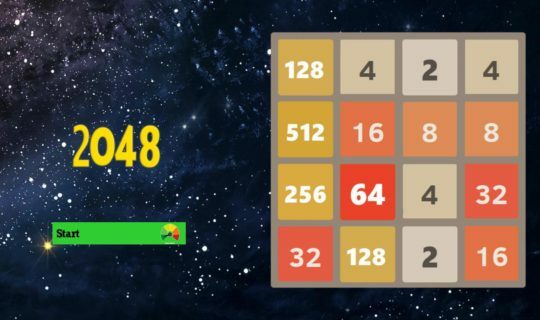 The score had to be calculated by the increment value of new tile whenever two tiles combine. Initially we designed the 4×4 grid size game board using the scene graph’s different renderable nodes. We used different scene graph animation and scale nodes to implement the animation of new tile and handle the left, right, up and down arrow click control. Implemented logic in brightscript for two tiles of the same number collide while moving, they will merge into a tile with the total value of the two tiles that collided. Implemented logic in BrightScript for calculating the increment value of new tile whenever two tiles combine. Successfully designed the 4×4 grid size game board and handle the left, right, up and down arrow, click control of moving and merging the tiles. 2048 game lovers finally found their most popular game at the Roku Channel Store.